I love dark lipstick and I have those docs! That dress is amazing! 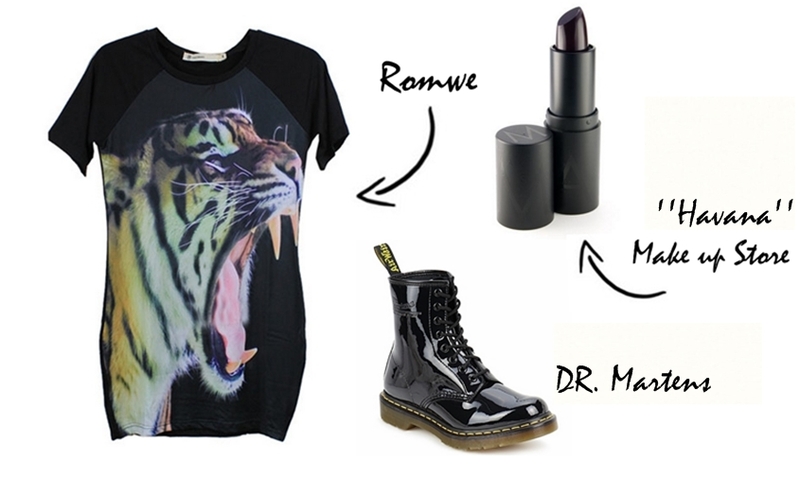 The kooples made some t shirt with animal print if you want ! The colour of the lipstick is great!!! Black rocks!